Starting from the low horizontal, undercling, jam and lunge your way up the left-arching crack at the far right-hand side of the keyhole cliff face. 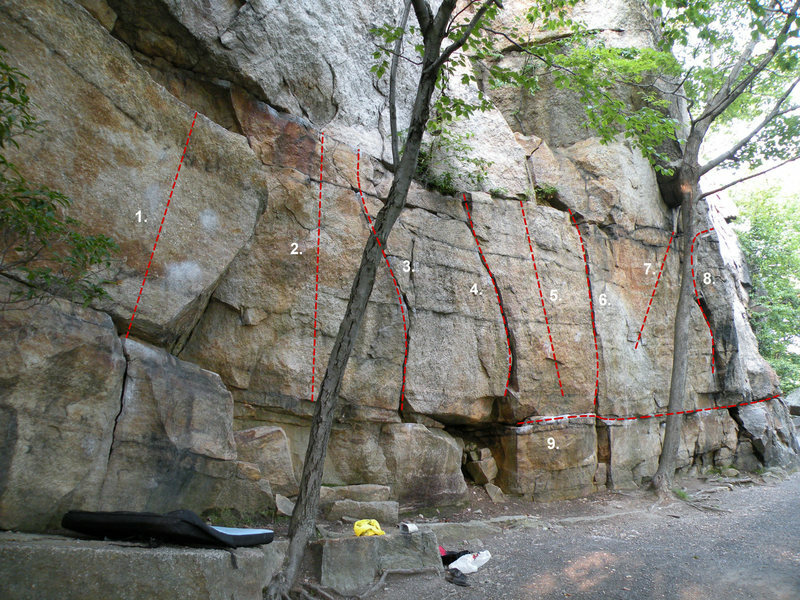 Holds continue above the crack and on the right-hand face to a dark hold 17 feet off the deck. Traverse off right and down climb the slabby face (very carefully) or drop to your pad. It's done. Right of Cronin's Face on the Keyhole Cliff wall. I don't have a clue about the bouldering V-grades, but the Gill Crack got quite a bit harder after a chockstone a move or two up came out. Also, take the question mark off Gill's name; he definitely made the first ascent.